The former Baltimore mayor and Maryland governor is expected to announce Saturday that he’s seeking the Democratic presidential nomination. WASHINGTON — Did the flames and fury that ravaged Baltimore last month reflect the fate of former Maryland Gov. 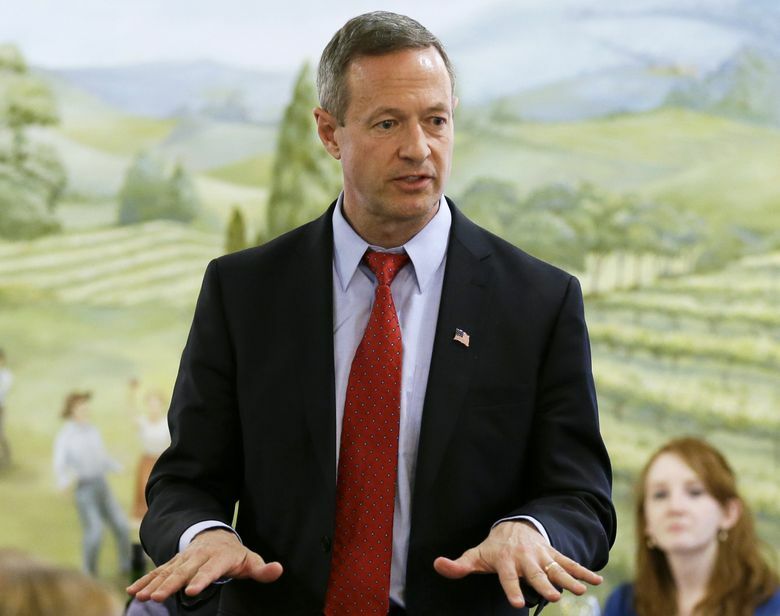 Martin O’Malley’s likely presidential campaign? O’Malley fashions himself as a no-nonsense crime fighter, but his city has become a national monument to urban devastation and is experiencing one of its worst homicide sprees in years. The former Baltimore mayor and Maryland governor is expected to announce Saturday that he’s seeking the Democratic presidential nomination. When he addresses a rally in Baltimore’s Federal Hill Park, in the city’s Inner Harbor, he’ll offer a record that’s part gutsy liberal — championing gay marriage and higher minimum wages — and part tough-on-crime urban healer. Others in the Democratic presidential race, former Secretary of State Hillary Rodham Clinton and Sen. Bernie Sanders of Vermont, don’t have that background. But they also don’t have to answer the kinds of hard questions O’Malley faces, particularly among African Americans. He made his reputation as the mayor who successfully reduced crime in one of the nation’s most violent cities. A centerpiece of his strategy was a “zero-tolerance” policy toward any violation of the law, no matter how minute. It chilled further the already tense relationship between police and crime-ravaged communities. An opponent could have an easy time ripping into O’Malley on this issue. “This is a ready-made TV ad,” said Craig Varoga, chief strategist for O’Malley’s 2010 gubernatorial campaign, now a Democratic consultant not aligned with a presidential candidate. O’Malley has vigorously defended his urban policies, saying they were effective in reducing crime. The Sun found that Baltimore’s 2000-2010 decline in “incidents of crime” was the biggest drop of any major city.